Spring is here and many communities are making it easier for us to let go of the unwanted, unneeded, unused items that have been taking up space. You will find events that make it easier to get stuff out of your garage or basement, events that circulate our stuff and raise money for great causes, events that allow us to repair and reuse, and events that ensure our things are being passed on consciously. Take advantage of the energy of spring clearing by checking into the things going on in your neighborhood that will make the process of letting go easier! Check your local newspaper, or make a call to city hall, the library, or your local recycling center to find out what is scheduled in your area. Here are some of the great events around the Northfield/Rice County area. Saturday, May 4 and Saturday, May 11, 2019 7 a.m. – 11 a.m.
Community members, students, and staff can attend and receive assistance in fixing and mending household items and also learn more about low-impact, low-waste options. Get your items fixed (for free!) by dropping by during the hours of 12 – 4 pm and you will get in line. Don’t worry about waiting at the Weitz- they will save your spot and call you when you are next! If you know of other great events, send me a message and I will add them to my list or pass on the info. to clients & through my social network! Together we can make the decluttering process feel as light & easy as possible! To learn more about the events that I am putting on this spring, click HERE! How many times have you started a project only to have it stall out because the next step required a little extra muscle, a handyperson, or a tool that you had never used before? I see this all the time, which is why lately I have been boosting my DIY skills to be a partner that can help ensure that projects reach completion. That doesn’t mean I am willing to get in over-my-head. I know my limits. And I understand that time, energy and money can be saved when we call in a partner with specific expertise (that’s why you call me, right!). But what I am talking about is adding some tools to my tool belt (literally and figuratively) & then mixing in a dose of courage to be a better ally to myself and my clients. Earlier this winter, I was working with a client in her daughter’s bedroom & the goal was to hang all of the amazing artwork that had been created over the summer. This is a project that can easily be put off or overlooked since there can be multiple steps to see it through to completion. But this client was ready & excited to get this checked off of her list! During our session we made sure we had the right tools for the job, framed the art, mapped out the placement, organized the arrangements, & put it all on the walls. It took a little pre-planning, a little extra measuring, & a little tweaking, but the end result = art hung & a happy mom & daughter! Another session involved reorganizing the laundry room in a client’s new house. The space had been set up for the previous owner, but now we were making it work for her small family. The ironing board hanger in the closet was taking up prime space that could be used by the brooms & mops that needed a home. Once again, it was time to pull out a few tools, my courage, and then go for it. With the right tools, it didn’t take long to take down the ironing board hanger & replace it with a broom hanger. A project that needed a little dedicated time & a little extra muscle was checked off the list. Mops & brooms were hung & the closet was ready for action. The relief of getting these projects completed was conveyed by both clients and I left each session giving myself a little pat on the back for adding a little courage to my tool belt & putting to use some skills that can make a big difference in bringing a project to completion. Is there a project that you have been longing to tackle or finish but something is stopping you? How could your outlook about this project change if you added a dose of courage? Do you need a partner to boost your courage & ease the overwhelm around this project? We are in the middle of one crazy winter here in Minnesota & I am finding that as the snow & snow days continue to pile on, my patience & energy are quickly melting. But I know that this season will eventually pass & that my grumbling isn’t going to change Mother Nature’s plans. And it does nothing to help the mood around our house! So today I am committed to making a shift & here’s how. First, I’m going to acknowledge that IT’S OK to be CRABBY! This has been one loooong haul! At times it has sucked! Plans have had to be changed or put on hold. Calendars rearranged then rearranged again! My flexibility buttons have been pushed to their limits! So yes! It’s ok to be crabby! I’m going to allow myself to feel it! Maybe even scream it!!! Then it’s time to MOVE ON & look for some small moments of gratitude. The treadmill has been dusted off & given some use. We have been able to offer a helping hand around the neighborhood with our trusty snowblower. A choir concert was cancelled which meant we had a night in to play a new card game with the kids. We are making history (and lots of memories) with each snow fall! We are fortunate to have a warm house to protect us from the cold. After that I am going to offer myself a little SELF-CARE. All of this time indoors with my kids (and husband) around has depleted my energy reserve. This introvert is going to offer myself permission to retreat into a good book or take a couple hours off to do a hobby that I enjoy. I may even bundle up & brave the biting cold to enjoy a quiet walk. And then I am going to continue to tell myself that this is temporary. Winter is only one season & it will have to move on eventually! My expectations may have had to shift a little to adjust to the weather’s unpredictability but eventually routine will re-emerge. We will talk about braving the winter of 2019 & feel pride that we found ways to persevere. This quote in Of Mess & Moxie by Jen Hatmaker, reminds me that even if another storm blows in this week & adds another couple inches to our snow banks, I am the one that gets to choose how I will respond. How are you handling the unpredictability of this winter weather? What have you done that allows you to keep perspective, reserve energy, or make the best of this season? I’d love to hear it! I believe that the more we offer each other permission to be ourselves in our struggles & in our joys, the easier this world becomes for us all. What if you chose NOT TO do a few things? When I read this statement, I thought of all of the choices that come our way each day. I thought of the ads & other junk mail that fill our mailboxes & then create our paper piles on the table. I thought of the daily barrage of emails that ask for attention as our inbox count continues to rise. And I thought about the amount of time that we are able to allot to ALL of the tasks that we have hopes of doing each day. Often, the time needed for the amount of tasks & activities on your list is just not there. And when you realize that is THE TRUTH, then it’s time to make a change. This is when recognizing the power of choice in your life really becomes a game changer. When you truly embrace that YOU get to decide what to spend time on & what you can let go of, then big shifts can happen. Here are some tips on how to begin choosing what is important & necessary vs. the things that you can decide not to do? Start by practicing this skill in an area that feels safe (fairly risk-free) or in an area of your life that has been nagging at you to make a change. Often your gut knows what is important & what really feels like a waste of time to you. First take a step back. Pull back from the immediacy of things & take a look at the overall picture. Make a short list of the things that are non-negotiable (you need or want to do these things). When it comes to mail, the short list might include bills, personal letters, & medical benefits papers (this list is different for everyone). Those are the things you will make sure you do. Now look at your usual patterns with curiosity. Ask yourself if you are doing things out of habit or because you have always done it that way & haven’t considered another option. When it come to mail, you could ask yourself if you need to keep the subscription to the magazine that never gets read? Or think about how much energy you might save if you immediately recycle the ads & junk mail. Deciding NOT TO open all the extra ad emails, the coupon flier, and the junk mail is a choice that can open time & alleviate stress. When you choose NOT TO spend time on these things, you can hit delete, recycle or shred without the guilt. You have made a decision not to allow your time to be taken up in this way. And remember that you can choose not to do something for a temporary amount of time. If Paper or emails are overwhelming you RIGHT NOW then your choice to limit yourself in this area could be what you need for now. Once you feel like your inbox is more manageable or your piles have decreased, then you might CHOOSE TO spend 5 mins looking at ads on a Sunday night. As Greg McKeown says in Essentialism, “our options may be things, but a choice – a choice is an action. It is not just something we have, but something we do.” So grant yourself the freedom to NOT Do a few more things & instead spend that time on the stuff that really matters to you. Fill out the form below & tell me about the things that you DON’T DO that have changed how your day flows. Or be in touch if you are ready for a partner that can help you declutter the things that are holding you back from what you truly want to DO! Marie Kondo is at it again! A few years ago when her little book came out there was a lot of buzz around her methods & her unique perspective. And now Netflix has given us a glimpse into this “magic art” with their new show Tidying Up with Marie Kondo. Both of Marie Kondo’s books, The Life-changing Magic of Tidying Up & Spark Joy, are on my bookshelf & my resource list because whether or not you agree with her strategies around tidying, her little books have raised our consciousness concerning how we think about our stuff. Marie’s criteria for determining if you should keep or let go of an item is to ask yourself if it “sparks joy!” If it doesn’t, the item should be thanked & passed on. For some, this idea seems too simplistic, unrealistic, or maybe even too Woo, but whether you like her style or not, I believe that respecting & honoring the things that we surround ourselves with creates a big shift in how we live. In the show, Marie & her interpreter lead clients through the steps of tidying using the methods that she outlined in her books. Each week, she visits the home to check their progress, make suggestions, and then offer the next lesson & homework. You can decide for yourself if this is the right show for you, but I wanted to share a few of the things that I am excited to see highlighted on a show like this. Validation– The show not only validates that there are other people living with spaces as messy as ours, but we get to see how Marie offers the client acceptance & understanding when they feel embarrassed, ashamed or are fearful of keeping up the new way of life. I see the power of this all the time in my work in homes. Great things can happen when we open up & allow someone outside of our situation to confirm that we are not alone in our struggle. It brings a great sense of relief & then hope. Intention– Marie models & then asks the homeowners to bring intention into each step of the process. She begins each new project with her own ritual of introduction to the space, she teaches ways to respect the things you have, even as you discard, and she asks questions that encourage the homeowner to claim the life they want moving forward. The things that we surround ourselves with affect how we feel, our attitudes, & our energy, which is why it is so important to tune in & be intentional about this work. When we make choices with intention, the shift can be profound. Our relationship to the items in our home is heightened & positivity is increased. 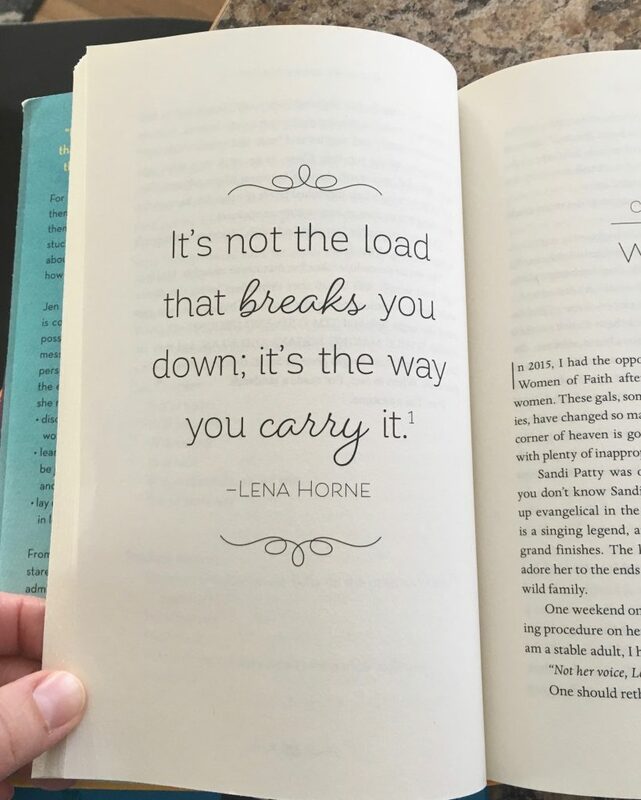 Relationship– Marie walks couples, families, & a recent widow through this process & while each situation is different, we get to see that dealing with (or not dealing with our stuff) impacts our relationships. What we choose to surround ourselves with is a personal, individual decision, but often the management of that stuff impacts those around us. Instead of spending time in fear, anger, shame or guilt, we learn to focus on gratitude & choose to find joy in our things. This naturally carries over into our relationships. It becomes easier to notice our gratitude & enjoyment of the people around us & clarity around how we want to spend our time together. Peace– With each lesson, we see more space open up & the home take on a sense of order & peace. When we pare down to what is essential & meaningful and create dedicated spaces for those items to live, then the stress around the management of this stuff decreases dramatically. We can rest easier knowing that there is a plan for all of the stuff in our life. And when the space gets out of order, we have the tools to get back to a place of ease. I became interested in this profession years ago after watching Peter Walsh’s show Clean Sweep & I continue to be inspired by make-over shows. But I am not naive to the fact that what we see on TV is the glossy, edited version of the actual events. The timeframe to tackle each project is short, the piles are mountainous, & the amount of decisions require an abundance of energy & dedication, so I know that the show is leaving out a lot. And yet, I think it’s valuable to see how letting go of extras & honoring what you keep creates amazing changes in your life. So, take it for what it is & maybe bringing just one of Marie’s methods into your home will allow you to spark more joy in your daily life! Shows like this are really inspiring and can lead to people digging in & then losing steam when decision fatigue kicks in & other obligations take time away from the project. Instead of entering that pattern of frustration, schedule a session with someone like ME. Check out NAPO-MN for a list of professionals in your area or fill out the form below & it will go directly to my inbox. The time will be set, the overwhelm will be decreased, and the change you are hoping for will be realized.